Noteworthy Awards: One among the 50 most powerful women religious leaders by The Huffington Post, President of the Hindu Faith, Care & Share International Humanitarian of the Year Award (Chicago) and more. Books: From Amma’s Heart, The Eternal Truth, Living in Harmony, Torrential Love, For My Children and more. Mata Amritanandamayi is one of those great personalities in India who has been spreading love and compassion among people through her deeds. Mata Amritanandamayi or most commonly known as Amma is the great personality filled with love, compassion, and kindness. She is also the founder member of the Mata Amritanandamayi Math which has currently over 40 branches worldwide. All these Maths work towards the upliftment of local people by providing them work, empowering women, opening schools, providing food and much more. She imparts Vedic knowledge and all essential knowledge to her students in simple language as well. 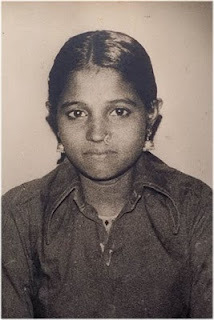 Amma was born on 27 September 1953 in the Kollam district, Kerala. 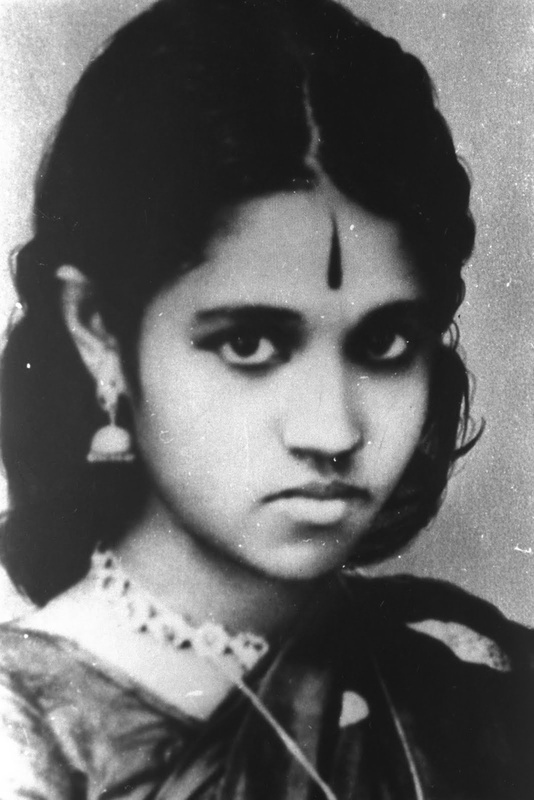 She was named Sudhamani by her parents. Her family earned a living by selling fish. The personality filled with love, compassion and kindness was extraordinary right from the birth and always had a beaming smile on her face. Amma acted different as compared to other children of her age and she was a staunch devotee of Lord Krishna. She started chanting hymns and even composing her own songs for Lord Krishna. Amma spent more time in meditation even at the age of five. She started her education at a village school at the age of five. She was a brilliant student but dropped out at the age of nine when her mother was taken ill.
Mata Amritanandamayi was engrossed in daily jobs and took Lord Krishna’s name in every breath. She was happy with her strong connection with Krishna and her spiritual experiences. But the personality filled with love compassion, and kindness was also moved by the sufferings and pains of the world. Mata Amritanandamayi felt an urge that she needs to help all those who are in need. This resulted in the awakening of the motherhood in Mata Amritanandamayi. She was very young during that time but started donating food and other necessities to all the needy people. Right from 1979, she had already started getting visitors owing to her spiritual experiences. Whoever visits this personality filled with love, compassion and kindness get a warm hug which has also led to Mata Amritanandamayi’s name being Hugging Saint. Mata Amritanandamayi has been deeply involved in service to mankind apart from her spiritual activities. This has fetched the personality filled with love, compassion and kindness with a great number of awards and felicitations. Some of the noteworthy awards that Mata Amritanandamayi has received include Hindu Renaissance Award (1993), Gandhi King Award (2002). 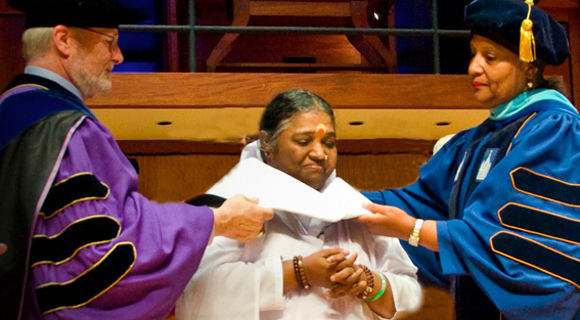 In 2010 Amma received an honorary doctorate from The State University of New York. She has also found a place in the Watkins’ list of top 100 most spiritually influential living people in the world. In 1997, Mata Amritanandamayi started a mission by the title Amrita Kuteeram which aimed at the building about 25k homes for needy people throughout India which were achieved in 2002. However, they continued to build more homes further. The personality filled with love, compassion and kindness also flagged off a mission titled Amrita Needhi to provide monthly pension to 50k people. She has also started the Amrita Hospital for free treatment of people. Her organization makes sure to send volunteers during natural calamities and also work towards the cleanliness of the societies. In 2015, Mata Amritanandamayi donated about 15 million dollars for construction of toilets across the banks of river Ganges. Mata Amritanandamayi is truly an inspiration for the mankind which is evident from her philanthropic works.